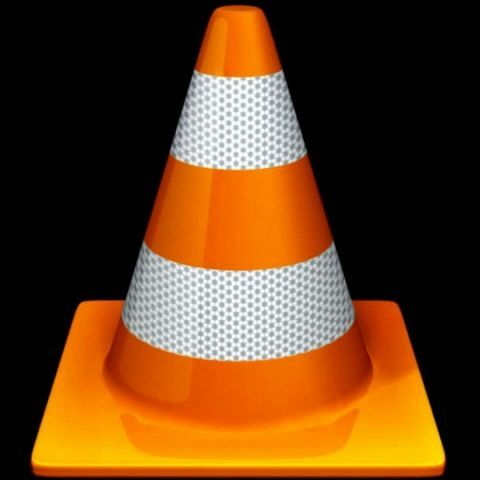 Hidden tricks to optimize your VLC Media Player experience to the fullest. The media player of choice for many, has packed in a horde of new features and marked changes in the design and interface. There are only two issues we have with the new design, which we will put out of the way first. The playback bar has jazzed up buttons, which won’t appeal to those who went for the minimalist charm of VLC. They have also inverted the direction in which the scroll works with the media, you scroll down to go backward, and scroll up to go forward which is counterintuitive to everyone and irritating to the long term users. Now for the good stuff. Go to Tools > Preferences > Video. Under video snapshots, enter the directory, a prefix, check ‘sequential numbering’ and choose a format. The default is .png. To take the snapshot while the video is playing, go to Video > Snapshot. Alternatively, you can take a snapshot using the keyboard with the hotkey [Shift] [S]. To use a button to take a snapshot, go to Tools > Advanced Controls. The snapshot button appears on the playback bar. In the playback bar, click on the icon that looks like the equaliser for lesser media players. This is right next to the playback button. Then select the ‘video effects’ tab. The ‘basic’ tab will be selected by default. Check the ‘image adjust’ checkbox. From here, you can adjust the hue, saturation, contrast, brightness and gamma of the image. There is also a ‘brightness threshold’ slider. The changed take place in real time, an this can be used to enhance dark videos. This can be used to broadcast a video over the Net, or to stream videos to everyone’s PC in the office at once, or to everyone’s laptops in a conference room. Click on advanced open file, select ‘show more options’. On the bottom right corner, next to the play and cancel buttons will be a small additional options button. Click on this, and select stream. A stream output dialogue will pop up. You can select the encapsulation, the video and audio codecs and the bitrate. Remember that not all formats can be converted to all other formats, this is a limitation of the format and not of the player. Under outputs, select a protocol. Selecting multiple protocols will stream the video output in all the protocols. To open a stream, go to ‘Advanced open file’, select the ‘Network’ tab and select the relevant protocol and address. Go to Video > Subtitles / OSD > Overlays. Click on ‘Logo Subfilter’ under Sub Picture Filter Module. Enter the path and filename in the bar below. To do this via command line, go to Tools > Add Interface > Command Line. Go to Video > Subtitles/OSD > Marquee. Enter the text in the marquee, and the text will scroll across the screen while the video is playing. Go to Video > Subtitles/OSD tick on “RSS and Atom feed display’ and enter the URL in the bar. There is an option to display or not display images in the feeds. We are not sure why this feature is provided, but it is fun and users may discover innovative uses for them. Click on the effects button. Go to Video Effects > Image Modification. The gradient effect gives a cartoonish feel to the video. The motion blur has a factor slider. These are the two main effects. The other effects include waves, motion detect, noise, water and psychedelic. You can apply a selection of these effects at once to the video. The changes take place in real time. If you were interrupted while watching a video or a movie, and want to resume from the exact moment you left off, there are two ways to do it. While playing the movie, go to Playback > Go to specific time, and enter the time in dialogue that pops up. The other way to do this is to go to Media > Advanced open file, check ‘Show more options’ and enter the Start Time. Open a file, then go to Media > Convert/Save. In the file tab, click on the Convert/Save button. Select the ‘File’ checkbox under ‘Outputs’. Enter a file name. Make sure that draw raw input is unchecked. Then select an encapsulation, that is basically the format under ‘profile’. Select a video codec and audio codec under the ‘Video codec’ and ‘Audio codec’ tabs. You can save files in a format to be played on a portable media device. There are hotkeys to jump backwards and forwards through the file (refer to the list of hotkeys). The default values for the ‘Very short’, ‘Short’, ‘Medium’ and ‘Long’ jumps can be changed as per individual preferences. Go to Tools > Preferences under ‘Show settings’ select ‘All’. Go to Interface > Hotkey Settings and under ‘Jump sizes’ edit the values as per your preferences. You can also use this window to change the default hotkeys, and add hotkeys to functions that have no default hotkeys. VLC can loop a part of a song or a video over and over again. To use this feature, go to Tools > Advanced controls. The loop button should appear on the playback bar. Open the file you want to play, click the button when you come to the part on the media you want to start the loop at. Click on the button again at the part of the file you want the loop to end. VLC will now start playing that portion of a file in an endless loop till you click on the loop button again to stop the loop. VLC has the capability to play image files without having to mount the image files on a virtual drive first. Although many formats are supported, many are not. Open an image file directly for the video to start playing. Go to Playlist > Additional Sources > Configure Podcasts. Add the podcast url, or add multiple urls. Go to Playlist > Additional sources > Podcasts. Go to Playlist > Show playlist. The list of podcasts you added should appear in the playlist window now. Double-click on one to start playing. To listen to online radio, go to Playlist > Shoutcast Radio Listings. Then go to Playlist > Show Playlist. The Shoutcast radio option should have appeared below the ‘Playlist’ and ‘Media Library’ options. A long list of genres and radio stations will appear. Select one that you want to listen to you. Some of the stations listed don’t work, and some might make the player crash. Some stations are listed under multiple genres. This is a highly useful feature that prevents a screensaver from interrupting the movie you are watching. Go to Tools > Preferences. In the dialogue that pop ups, look at the bottom left corner, and select the ‘All’ radio button under ‘Show settings’. Click on ‘Video’ preferences, and under ‘General Video Settings’ look for the ‘Disable Screensaver’ checkbox. VLC supports skins. VLC skins can be downloaded from their site, but VLC also supports winamp 2 and xmps skins. Go to Tools > Preferences. In ‘Interface’, select the ‘Skins’ radio button and load the skin file from here.